View Troy: Fall of a City on Netflix. The drama loosely based on The Iliad commences. An encounter with the gods seals the fate of Paris and his home city of Troy. 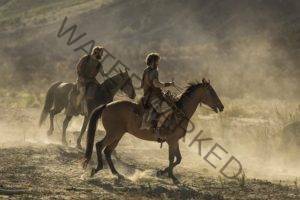 He is granted the honor of visiting Sparta as a guest of King Menelaus and falls for Helen. Helen elopes with Paris, which causes chaos for the Greeks and Trojans. Agamemnon is left to face an agonizing dilemma and the Olympian gods are forced to choose sides in the conflict. The Spartans begin their embargo to starve Troy of supplies and Paris joins the workmen digging to find water before setting out with Hector and a group to get help. One of the men is captured and killed after telling Menelaus that Helen has married Paris. Hector Paris reach a prospective ally who tells Hector he must kill Paris but the gods intervene and the pair return to Troy. Helen endears herself to the Trojans by giving the citizens her food but still faces mistrust and lustfulness from certain quarters. Achilles’ shock attack on Troy’s ally Cilicia deals a major blow to the Trojans and casts the spotlight on Helen. Andromache receives good and bad news. A bitter dispute erupts in the Greek camp. Paris is hunted by the Greeks and returns to his former life leaving Helen without an ally in Troy just as the investigation of her gathers momentum. The Trojans attempt to take advantage of divisions within the Greek camp. King Priam risks his life to visit Achilles and the pair agree to a truce, but will it hold? Helen faces a personal crisis as her relationship with Paris comes under great strain. The Trojans are stunned to find a deserted Greek camp and that all that remains of the Greek army is an offering to the gods in the form of a wooden horse. Is the war finally over? Have celebrations begun prematurely?